December 12th, 2014 by Roy W. Spencer, Ph. D.
The building El Nino is definitely weak, but it is the strongest one since 2010. At least it is not La Nina conditions! Due to the inhibition of polar vortex cold it gets all over the western US. Position of the polar vortex has changed. As a result of high solar activity decreased pressure over the Arctic Circle. There is a rapid cooling of the eastern Pacific. 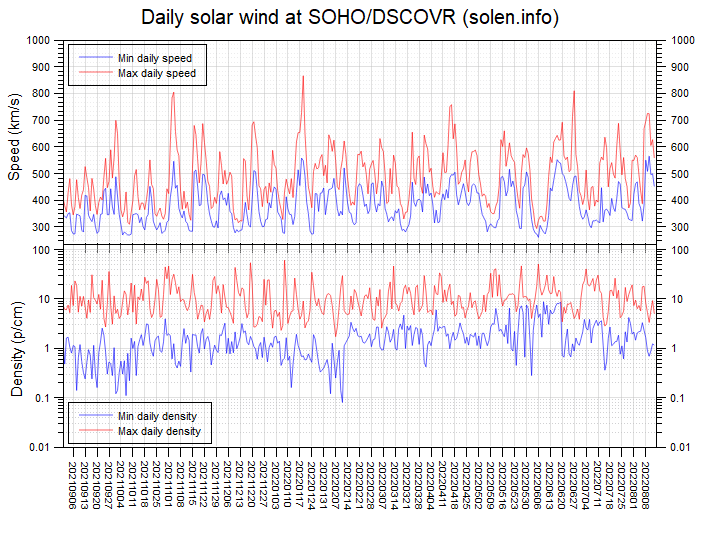 where is your proof of a direct connection between solar activity and polar vortex??? Observe the latest chart. Magnetic activity decreases and the pressure increases. In the stratosphere creates another wave. Undulates like magnetic activity of the sun, so the pressure fluctuates in an offset. Let the current magnetic activity of the sun. In other words, Lake Shasta’s water levels follow cyclical periodicity and not as the result of atmospheric CO2 levels. Just so we’re all clear on that … since CAGW alarmists want to tie everything to CO2, and not natural variance, I wanted to spell it out in no uncertain terms for them. It will be a lot of rain in California due to the jet stream. An excellent reminder, thank you. However, I don’t like the conversion into Olympic size swimming pools. Now every California billionaire will build one. The CA rich have moved to Texas. Distribution of ozone in the stratosphere is consistent with the jetstream. Over the last couple of weeks there is increasing ice, still mostly <1/10 (blue). If I check temperatures, say near the western end of Lake Erie – Trenton, MI or Toledo, OH, the air temperature is above freezing, mostly even at the coldest. Over at Green Bay it has been colder and that shows with 8/10 (orange) and 9/10 (red). The lake water has been cooler than the long term average because of the cold and ice from last winter. Perhaps that is contributing to the current ice conditions. If there is an analysis of lake conditions that I haven't found, can someone post a link. Probably before Christmas in the stratosphere create another wave as a result of next decline in solar activity. Arctic air then come down again south US. Lakes will freeze quickly. Currently, the ice in the Arctic is approaching very to normal until 2000. Over the next three days, it went up another 10 feet. 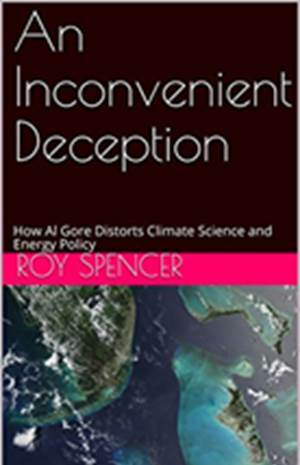 Well Roy all these posts about extreme weather conditions may be interesting, but they do nothing to prove whether of not any have anything to do with carbon dioxide. Your continued false assumption that the Earth’s surface temperature is raised somewhat by so-called greenhouse gases like water vapor and carbon dioxide is just keeping a foot in each camp – sitting on the fence. You need a better understanding of thermodynamics, Roy, and I can help you gain such. There won’t be any warming until the end of the current 30 year downturn in the 60 year cycle which is superimposed on a long-term cycle of about 1000 years. The latter should reach a maximum within 50 years and then start cooling for nearly 500 years. Carbon dioxide has nothing to do with Earth’s climate. The surface is indeed warmer than the mean radiating temperature, but the higher temperatures are maintained by the effect of gravity which establishes the so-called “lapse rate” as an equilibrium state. This then means that there can be convective heat transfer downwards when solar radiation is absorbed in the upper troposphere or in the clouds. This apparent downward heat transfer is really just establishing a new state of thermodynamic equilibrium with a higher mean temperature due to the new energy arriving when the Sun shines. The reverse happens at night. There is no need for James Hansen’s explanation in which he realises that extra energy is needed to explain the warm surface temperature, but quite incorrectly assumes it is supplied by radiation from the colder atmosphere, including some from carbon dioxide molecules. All that is of course utter nonsense, but sadly it is all that politicians need for their weak understanding of physics to lead them to be so gullible as to believe. Warmer at night due to the high heat capacity of water vapor. But not with radiation. In the desert at night it gets cold quickly. But if there are clouds, the surface does not heat and air circulation determines the air temperature at the surface. That is a lot of garbage ren as we often find on the Hockey Schtich blog where my corrections to their incorrect physics just get deleted. Firstly, Cp is the specific heat capacity or “specific heat” for short. It is not the heat capacity which is not an intrinsic property. See this article. Secondly, the specific heat of water vapour can only affect the temperature gradient to the extent of the percentage of water vapour in the atmosphere – rarely more than 4%. The difference between the wet and dry rates is over 30% so you have a lot more explaining to do. I have explained it and its consequences in my study that showed water vapor cools by a few degrees, rather than warming by nearly 30 degrees as the IPCC would like you to be gullible enough to believe. Perhaps if your understanding of physics is such that you thought Cp fully explained the wet rate you may be that gullible. “Climate Researcher,” “Physicist,” “Captain Curt,” “Alex Hamilton,” and who knows what other false identities are all pseudonyms of the notorious internet troll Doug Cotton. Cotton is now on a mission to slur my site and others, which he threatened to do multiple times in comments at my site, since I refuse to publish any more of his self-serving promotional commentary aimed to sell his book and theories, thus Cotton was permanently banned from my site (as most others). The comment above from pseudonym “climate researcher” Doug Cotton is only one example of Cotton’s mission to hide his identity and slur anyone who does not agree with him. Thus, I will continue to point out to others his pseudonyms and slurs, on my site as well as others as I encounter them. Water vapor (according to a study of temperature records) appears to have a cooling effect of a few degrees, maybe 10 degrees. Carbon dioxide molecules are outnumbered by water vapor molecules by at least 50:1 and, furthermore, water vapor radiates in a far wider range of frequencies than does carbon dioxide. Thus the effect of carbon dioxide is totally dominated by that of water vapor, probably by hundreds to 1. This puts the effect of carbon dioxide at less than 0.1 degree, probably on the cooling side anyway. That is simply not correct. The Second Law is not stated in terms that refer to heat transfer not being possible from cold to hot. That is merely a corollary of the Second Law which only applies when gravitational potential energy is held constant. This is easily understood because that PE plays a part in determining entropy. The Second Law talks only about entropy increasing to a maximum which is the state of thermodynamic equilibrium. When that state is reached there are no unbalanced energy potentials. But if you assume an isothermal state is the state of thermodynamic equilibrium in a vertical plane in a gravitational field, then you are describing a state with more mean PE per molecule at the top than at the bottom, but yet the same kinetic energy determining temperature. That state does have unbalanced energy potentials. Hence it is not what the Second Law says will eventuate. I will expose such invalid physics wherever it appears. Rather than take offence, people writing on the HS should look into what I have explained about the possibility of downward convective heat transfer. Otherwise, they have no valid explanation as to how the required thermal energy gets into the surface of Venus and raises its temperature, but only where the Sun shines. That is clearly convective and conductive heat transfer from the atmosphere to the hotter surface. And it happens on Earth too. You at the HS, and Roger at TB allow Wilde to influence you too much with his wild assertions about upward and downward moving pockets of air. He can’t even decide if they fall at night or by day or at any old time. It’s false physics not supported by any law. Fonz, I really hate to say this, but Doug is … well … a hypocrite. I understand from those who know him that when his head is cold, he does not invert himself so the gravito-thermal gradient will warm it. Instead, he puts on a hat (which is cooler than his body temperature) to keep his head warm. Yes, it’s true. He preaches one thing and practices another. I (Captain Curt) most certainly am not Doug Cotton. I believe that he is one of the few people more confused about these issues than you are, and I have done battle with him many times on various blogs. Neither of you can perform proper energy balance calculations, keeping your systems and subsystems consistent through the analysis, and so you both end up with wild 1st Law errors. Neither of you understands the very basic concept of radiative exchange as the basis for radiation heat transfer, as explained in any introductory physics or engineering thermodynamics textbook. Neither of you understands how there can be radiative energy transfer from a colder to a warmer body (part of said “exchange”), but since there is always more energy transfer from the warmer to the colder body, there is no 2nd Law violation. Neither of you understands the concepts of stable and unstable lapse rates, one of the most basic concepts in meteorology, and how unstable environmental lapse rates, say from radiative absorption from a warm surface, lead to convection leading to lapse rates close to adiabatic, but stable rates do not. By continuing to post with your very fundamental confusions, errors that would flunk you out of any introductory (non-climate-related) class, you just give ammunition to alarmists who say that skeptics don’t understand basic science. I think the water vapor cools the surface, but keeps you warm air long. Of course it is very unevenly distributed over the surface. As every winter cooling process, affecting vast areas of Siberia, which becomes possible due to the low limited sunlight and very dry layers occurring just above the surface of the earth, was a success. At the end of the intensive cooling, near the snowy surface, formed cold, very heavy air layer having a thickness of 1000-1500 m, with a consequence to the formation of thermal Russian-Siberian anticyclone. Water vapor has over 400 absorption ‘lines’ in the spectrum of terrestrial radiation and there are about 15,000 ppmv water vapor molecules in the atmosphere. CO2 has only one absorption ‘line’ in the spectrum of terrestrial radiation and has increased in the atmosphere by about 100 ppmv. Therefore, the increase in CO2 has increased absorption ‘opportunities’ by an essentially undetectable amount of only about 1 part in 60,000. To calculate the temperature for spaceflight radiation completely ignored. “Early in the “space race” of the 1950’s, US Air Force Research Laboratory meteorologist and “rocket design climatologist” Norman Sissenwine “recognized the urgent need for complete data on the properties of the atmosphere” and thus became “a catalyst between the aerospace and meteorological community” to develop the US Standard Atmosphere physical model of Earth’s atmospheric pressure, density, and temperature profile by altitude from the surface all the way up to the edge of space at ~100,000+ meters altitude. Firstly, go back to this comment. It’s one thing to “model” the thermal profile of the troposphere, but it’s another thing altogether to explain the necessary energy flows that cause the temperatures to act as they do, warming by day and cooling by night, even where no solar radiation reaches in gaseous planets and Uranus, for example. Now go to this comment. The difference between the “dry” and “wet” rates is over 30%. The effect of the higher specific heat (not “heat capacity”) Cp of water vapor (less than double that of the other 98% of air molecules) is thus no more than 2% on the weighted mean specific heat of the atmosphere. The current series of articles in the Hockey Schtick are overwhelmingly misguided by the writings of Maxwell in which he presented quite a different explanation to that of the brilliant 19th century physicist Loschmidt. The huge difference is that Maxwell incorrectly confused cause and effect, thinking that high pressure caused high temperatures. That is not the case. The force of gravity acting on molecules in flight establishes a state of thermodynamic equilibrium which, in the absence of radiating molecules, has a temperature gradient equal to the “dry” lapse rate. Then that state of thermodynamic equilibrium acquires a reduced gradient due to the temperature levelling effect of inter-molecular radiation and other radiation associated with those molecules. The force of gravity also sets up a density gradient in accord with the process of increasing entropy described in the Second Law. Pressure is just a corollary, being proportional to the product of temperature and density. Temperature is an independent variable requiring actual energy input. It doesn’t just rise because pressure rises. But this still does not explain why the lower gradient leads to lower surface temperatures, because it does not explain the necessary energy flows. One might argue that the lower gradient means the surface cools more slowly and so the daily minimum temperature is higher, even though the maximum is the same. This gives a warmer mean surface temperature. But that’s not supported by empirical evidence. The big question is whether it is the surface temperature controlling the atmospheric temperature or the atmospheric temperature controlling the surface temperature. The answer is complex for earth, and things vary at different times of the day and night, and in different circumstances such as cloud cover or clear days. The energy flows however must be understood, and they must include heat transfers into the surface because we know it warms by day and we only have to look at Venus data to realise the Sun’s direct radiation does not do all the warming. The world is still warming at a long-term rate of about half a degree per century, but it will reach a maximum within 50 years, then cool for nearly 500 years with superimposed 60 year natural cycles. Until you take comfort in the valid physics which explains all temperatures in tropospheres, surfaces, crusts, mantles and cores of planets and satellite moons throughout the Solar System and no doubt beyond, you will continue to argue about what is a fictional hypothesis and, in the process, you will be unduly concerned when the next 30 years of warming occurs between 2028 and 2058. So have a Happy and unconcerned Christmas. On the other side of their equation, the less the available gives, the higher the cost. 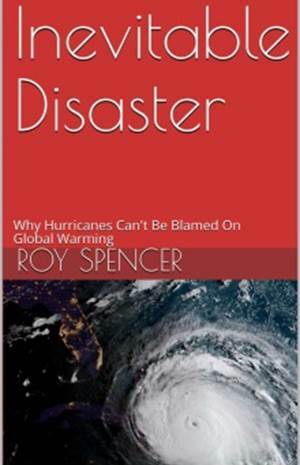 Dr Roy Spencer travel northeast America may be on Christmas dangerous. As climatologists will tell you, the Earth’s atmosphere is a good insulator. Yep! It does indeed insulate us a little from the hot sunlight. That greenhouse gas water vapour forms clouds which shade us and send 20% of the solar radiation reflected back to space. It also absorbs almost all of about 20% of the solar radiation that gets absorbed on the way in. Water vapour also expedites the transfer of thermal energy up through the troposphere and off to space. It’s quite good at speeding up the rate of cooling of Earth’s surface, just as it reduces the insulating effect when moist air enters the gap between double glazed window panes. Do you ever wonder why they use dry air instead to improve the insulation? Next time you wander through a cool rain forest be a little thankful for the most prolific greenhouse gas water vapour because no one really enjoys living in a dry desert, now do they? Firstly, as we read on some other climate blogs also, it is very apparent that either (a) a planet’s temperature is primarily determined by incident solar radiation, or (b) it isn’t. Even Michael Mann and colleagues must have realised that the actual mean radiation penetrating Earth’s surface is only about 163W/m^2 and that gives temperatures around -40°C. The “disinformation” they decided to promulgate then came down to the false claim that the radiation occurring between the surface and the troposphere somehow helps the Sun to raise the surface temperatures to higher maximum temperatures each day. Well that’s a lot of raising to do from -40°C especially when that radiation between the surface and the troposphere is in general a process which cools the surface. You only have to consider data from a planet without a surface to realise all this is utter garbage, not just “disinformation” or mistaken concepts. It is deliberate deception because they hound down all valid counter arguments. So they must realise it’s all wrong because they go out of their way to try to rubbish the correct physics which explains why (b) is in fact correct. Valid physics is based on correct understanding and use of the laws of physics. It is a lack of understanding of such things as thermodynamic equilibrium, entropy and energy potentials which has meant that climatologists (with limited education in physics, and far less understanding) have got their physics wrong and got the world into a horrible mess, wasted billions and cost many lives. There is no valid physics which can be used to prove carbon dioxide could raise the surface temperature, not even by a tenth of a degree. All the climatology literature (such as in the IPCC website and Pierrehumbert’s book) is based on the false assumption about how the back radiation flux can supposedly be added to the solar flux and the total then used in Stefan Boltzmann calculations to “explain” the 14°C to 15°C mean surface temperature. Pierrehumbert’s calculations very clearly fail to deduct the solar flux that is absorbed by the atmosphere, and so you never see the real figure of 163W/m^2 being used to get -40°C for the surface temperature. Then in the imaginary Earth without water vapor and other greenhouse gases, he still deducts about 30% for albedo, even though 20% is based on reflection by clouds which of course would not exist without water vapor. The plain fact is that these greenhouse gases prevent nearly half the solar radiation reaching the surface. Common sense (and empirical evidence) tells us that the most prolific “greenhouse gas” water vapor obviously forms clouds that shade us and cools the surface by a few degrees, rather than doing most of that incorrectly calculated “33 degrees of warming” which the IPCC loves to scare us with. A totally different paradigm involving gravity it what is really at play. Have a Happy (and dry) Christmas everyone. Happy Christmas and for you. Thank you for the post and Merry Christmas and Happy New Year to you as well. Thanks for that Doug, wish I could comply, but unfortunately I (I don’t normally predict the future but on this occasion – – – – -) I shall fail miserably on both accounts. Can you feel overwhelmed when the area of Dubai schools comes up? Does the encounter appear confusing? You aren’t the only one if you are stressed by Top schools in Dubai out. There is help! Enjoy English schools in Dubai! By using this advice, you will discover Dubai schools to be exciting. A review of the new book “CLIMATE CHANGE THE FACTS 2014” by about 24 authors. Earth breathes with carbon dioxide (winter and summer). “This  is not a drought year. The meager allotment is the result of too much water. neighborhood affiliation or business building. to companies offering the dumpster you are on the lookout for. Save Cash – you will get prices on dumpster leases from just a few of the top companies in your space. Will help you find and evaluate costs from the top roll off dumpster fowler california off dumpster rental firms in your space. all firms will also cost round $a hundred for delivery. home office furniture nz that is affordable does not have to be horrid looking. find great-looking office chairs that you would definitely adore. of the modern office chair that is costly. You’re going to be amazed at precisely how easy it is to discover what you would like. If you are like many Americans, summer is not summer without a camping trip to enjoy nature. but it’s not the only plus. 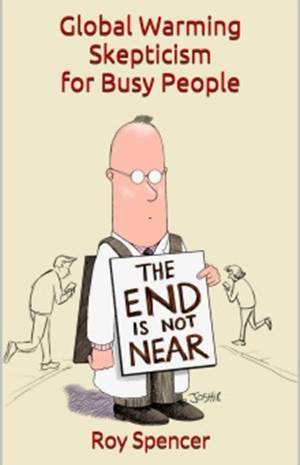 work, nonetheless, it has to be done intelligently. that you have to find out about video production companies and hints. You can find three kinds of home builders-builders now. and hybrids within these three categories, these will be the fundamental kinds at function now. may be the best fit for home style needs and their budget.